Samsung Galaxy A5 Full Specifications, Features And Price. Samsung Galaxy A5 Full Specifications And Price. The Samsung Galaxy A5 has a 5.0 inch display, which is typical for a smartphone. The screen has a resolution of 1,280 pixels by 720 pixels, making it a 720p HD screen. Its display sharpness can be measured in the density of pixels per square inch of screen, and at 294 PPI. The Galaxy A5 has a 13 megapixel rear (primary) camera, which will produce high quality photos. Its 5 megapixel front camera makes it a good selfie phone. It can capture 1080p high definition video with its primary camera. The Galaxy A5 houses a quad core Qualcomm Snapdragon 410 MSM8916 system on a chip. Its CPU runs at 1.2 GHz, with 2 GB of RAM, the Galaxy A5 has much more memory than most mid-range smart phone. It comes running the android 4.4 kitkat with touchWIZ UI. In terms of battery capacity, which is the best indicator of overall battery life, it holds 2,300 mAh, an above average battery capacity it has an advertised talk time of 15 hour. 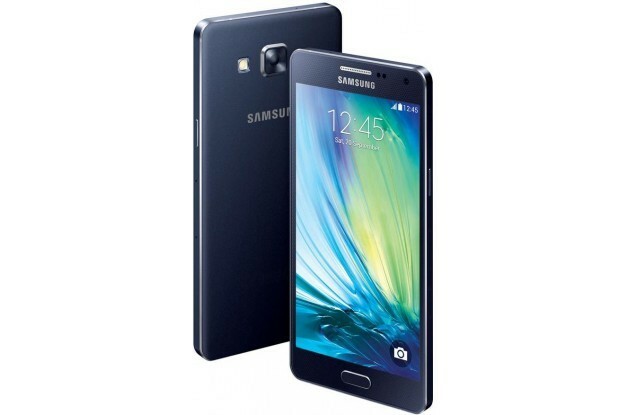 The price of the Samsung Galaxy A5 in Nigeria today is about N49,000 – N54,000 (270 USD). Samsung Galaxy J7 Full Specifications And price. Samsung Galaxy View Full Specifications and Price.